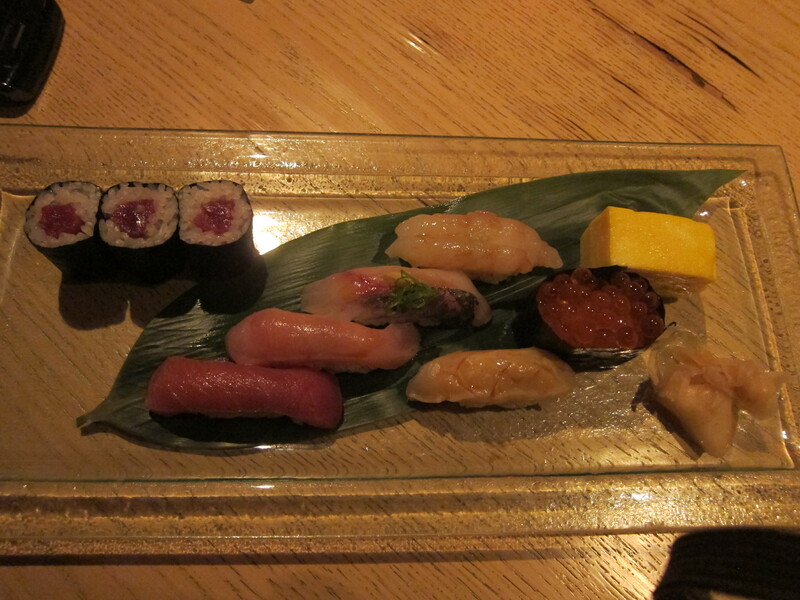 Sushi Azabu has been on my to-try list for a while. 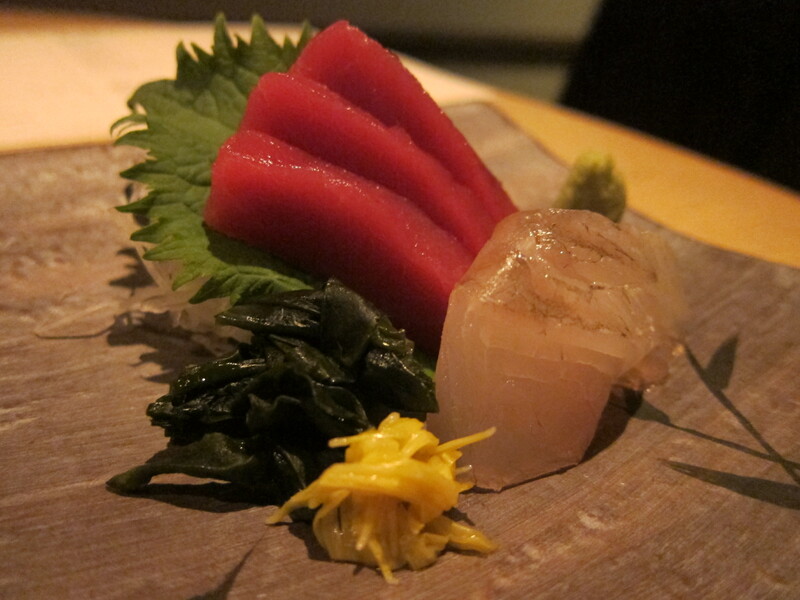 Not only is it another neighborhood Tribeca restaurant, but many sushi lovers and connoisseurs have raved about the quality of the food. 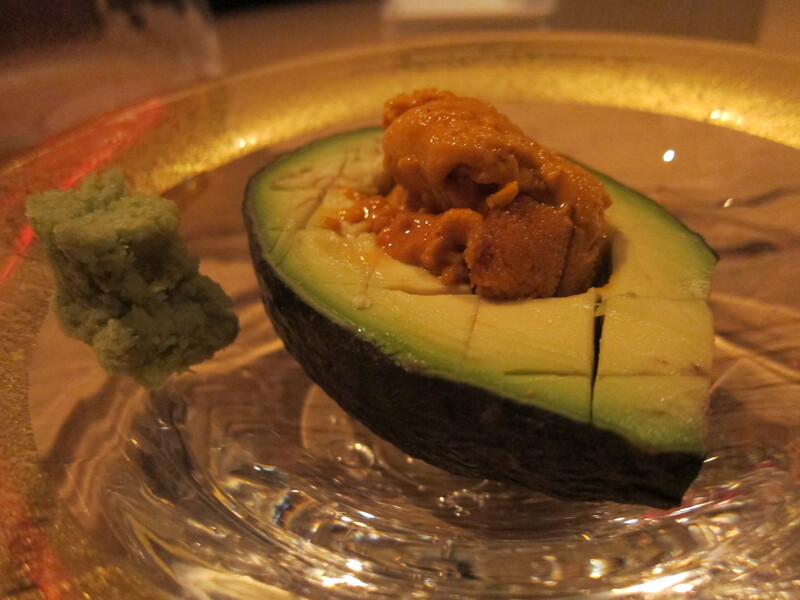 Azabu is actually the downstairs portion of Greenwich Grill, which is a Japanese- Italian fusion restaurant. 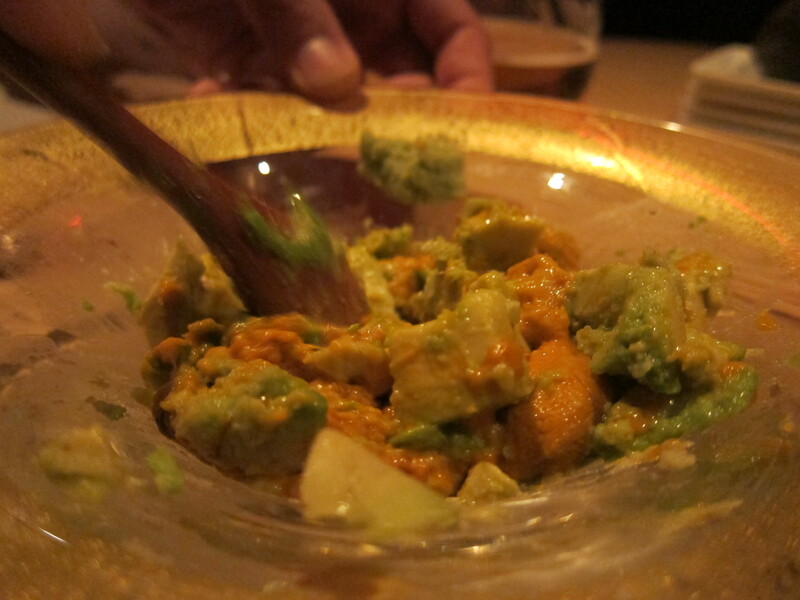 I’ve eaten at Greenwich Grill a few times before, and have enjoyed the fusion fare. It is a nice neighborhood date spot, but gets a bit too dark (too dark to read the menu sometimes) and my favorite Japanese-Italian place in New York is still Basta Pasta. The restaurant group Plan Do See that owns Greenwich Grill and Sushi Azabu also owns TriBeCafe, a casual wine and Japanese tapas bar a few blocks away where Jen and I have been known to frequent several happy hours. 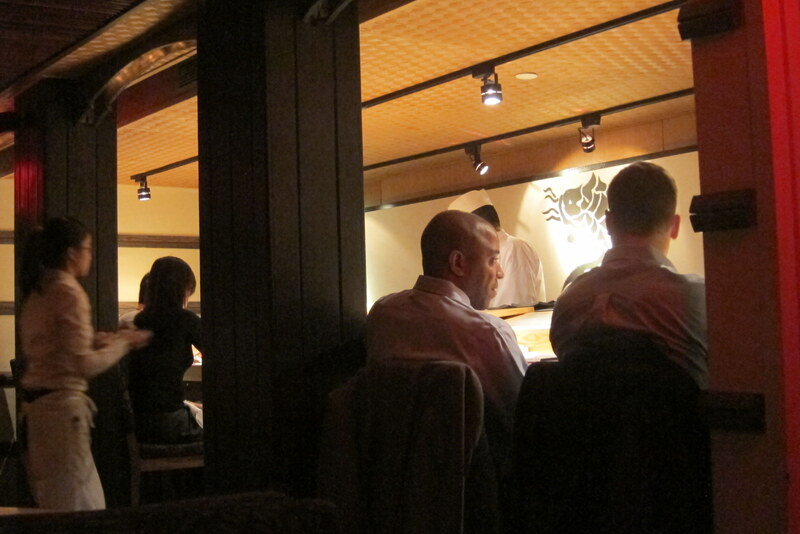 Once you get into Greenwich Grill and walk past the bar, you take the stairs down to Azabu. 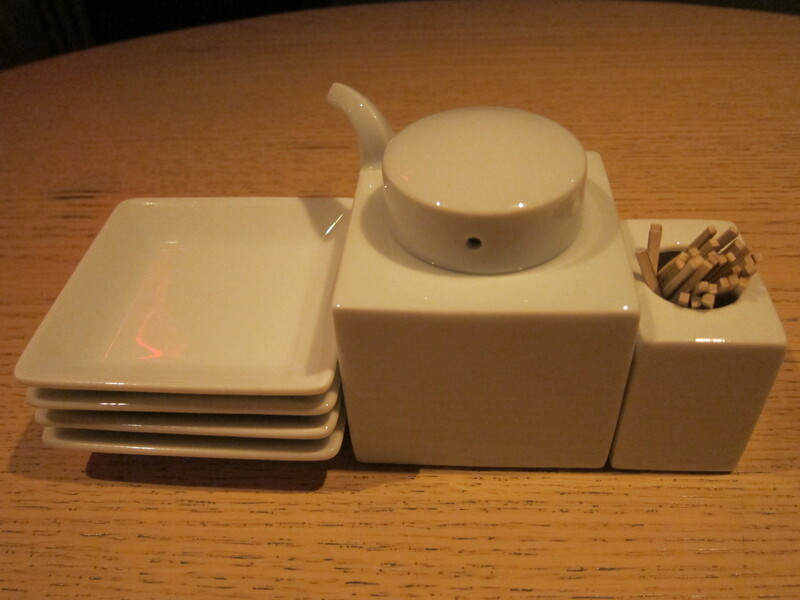 It is very simply decorated, has several booths and a chef’s counter. My friend and I took a booth and had the Azabu course, but I think next time I’d like to sit at the chef’s counter and focus more on the sushi and sashimi. 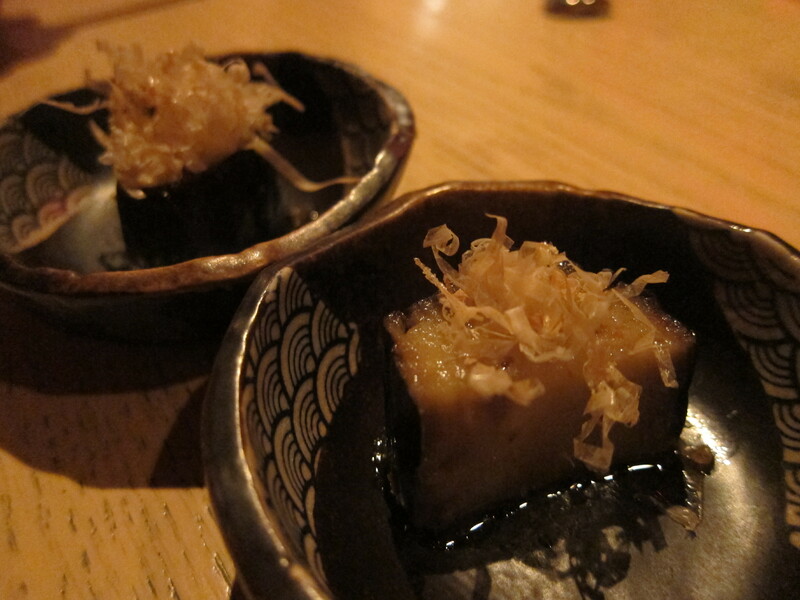 This appetizer stood out to me on the à la carte menu so we ordered it in addition to the Azabu course. 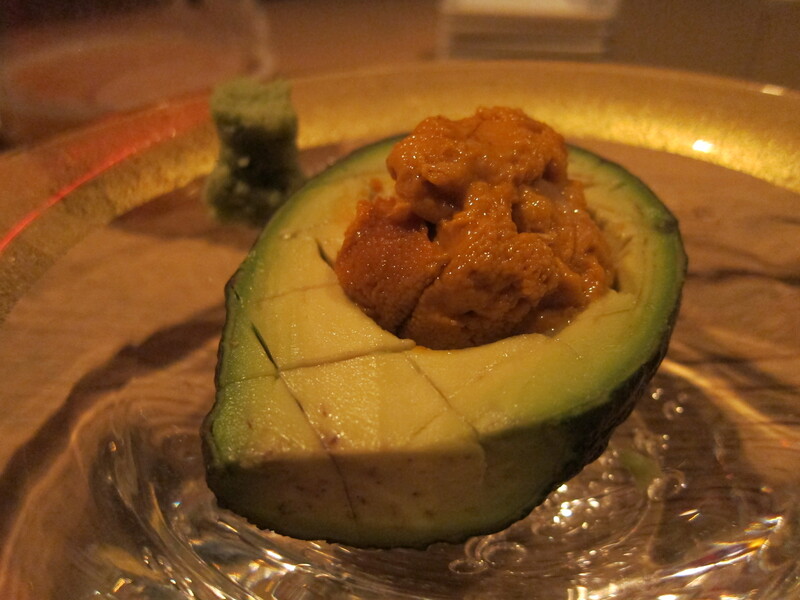 Loved the combination of smooth avocado texture, salty uni and wasabi. I was pretty hungry, and this aubergine morsel was such a tease. I devoured it pretty fast, so I don’t remember the sauce it was in or other details, but it was tasty. 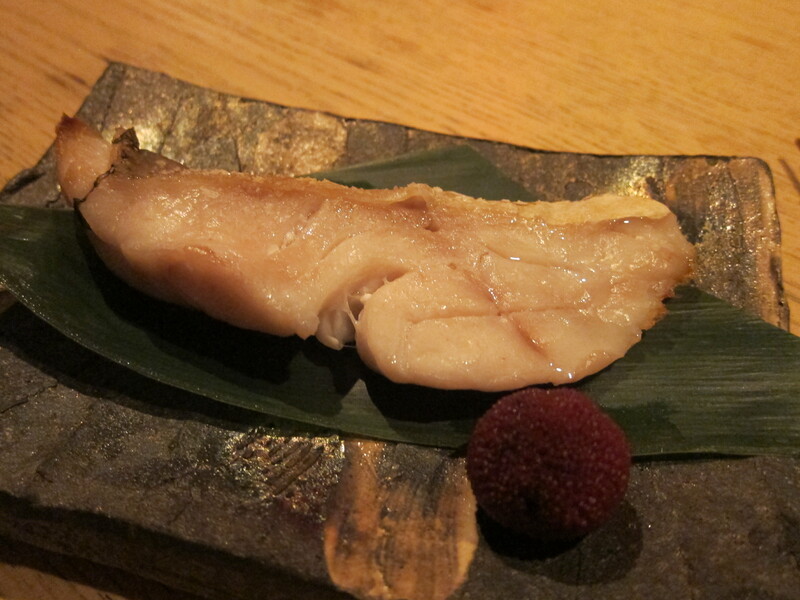 Very fresh fish, I’d love to try more at the chef’s counter! My friend went nuts over this dish. He loves clams and was in awe over the texture — so smooth and velvety. 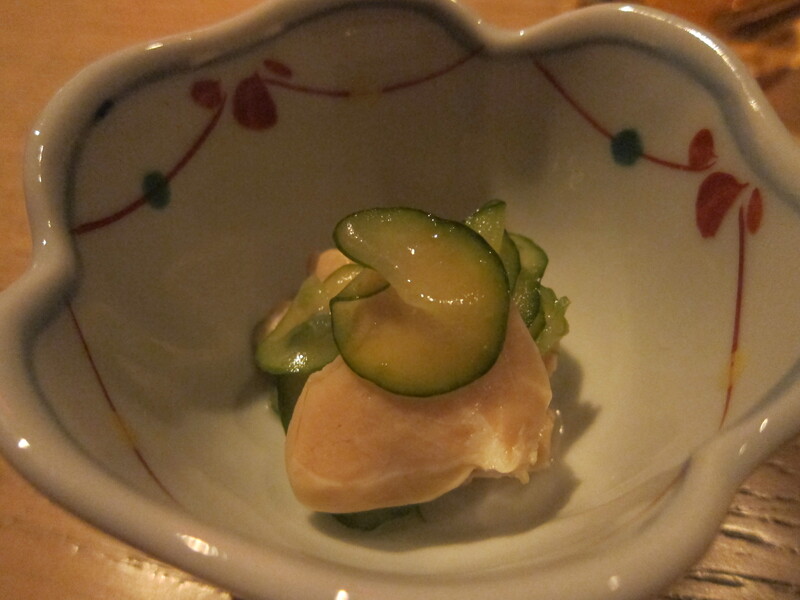 The cucumber was slightly picked and the tartness complemented the sweetness of the clam. I’m not huge into rolls, so that was not my favorite. But can’t complain about anything – with nigiri all I care is the quality of the fish and it was excellent and portion size very fair. 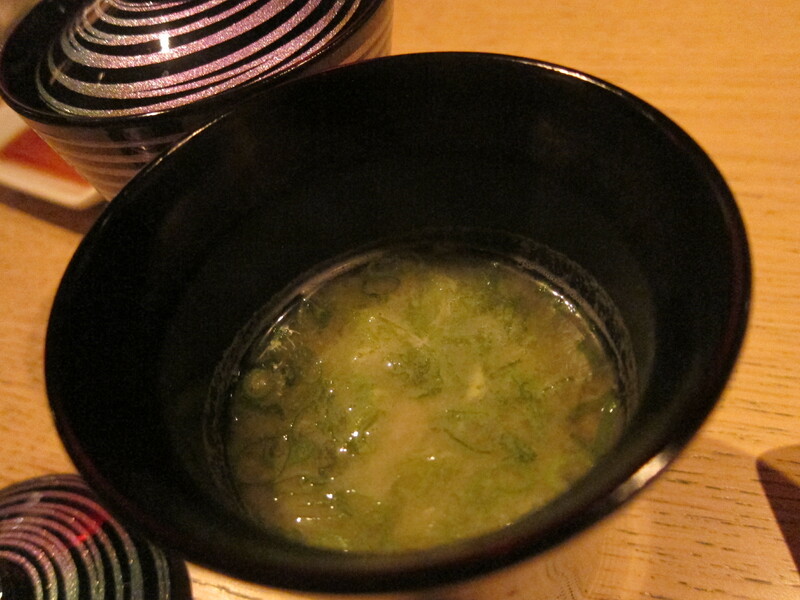 I love miso soup, and rarely have it at the end of the meal, but I was getting full so the light savory soup was a nice way to bookend the meal.